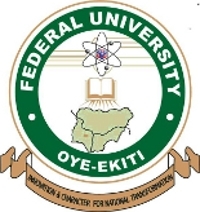 The Federal University, Oye-Ekiti [FUOYE] Matriculation Ceremony Date for Freshers/Newly Admitted Students for 2017/2018 Academic Session Out. This is to inform all staff and students that the 7th Matriculation Ceremony will come up on Thursday, 12th April, 2018. Consequently, all fresh students are expected to pay their school fees on or before 3rd of April, 2018.